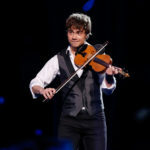 Wondering what Alexander Rybak has been up to lately? 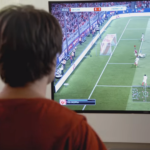 Two days ago he published a video, a gamer tribute to FIFA, a world know soccer game. With the parody of the song „Fever“ or like Alexander calls it, „FIFA“! „Fever“ was written by Eddie Cooley and Otis Blackwell back in 1956, and got extremely popular around the world. Many artist have since made a cover, Peggy Lee is most know for it. Even Alexander himself made a cover of the song Fever, you can see it here. In the video Alexander is playing FIFA all the time, all day and all night long. 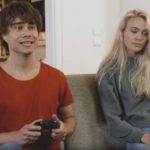 His girlfriend tries everything to get his attention away from game. What will work for her in the end? The video is followed with his own comment: “If you ever wondered if I’m a good boyfriend or not, here’s the answer!” Guess he has been getting a lot of relationship requests during the years. Perhaps he hopes to get less of them or just trying to find the perfect FIFA playing girlfriend. One could speculate, however I think he is mostly doing this for fun. What does the parody say about his songs? I hope you have been able to get a good laugh and I wish you a happy day. 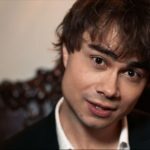 If you like to hear more from Alexander look at these articles. Listen to is his summer hit from last year, or hear him cover this year’s Eurovision winner Amar Pelos Dois . Robert Lewandowski – Eurovision winner sings a song for a football player!